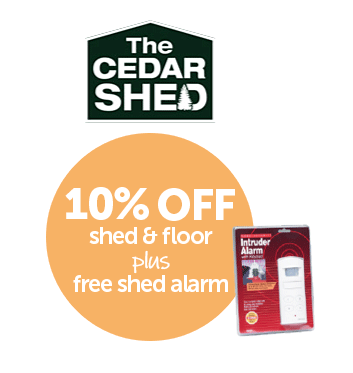 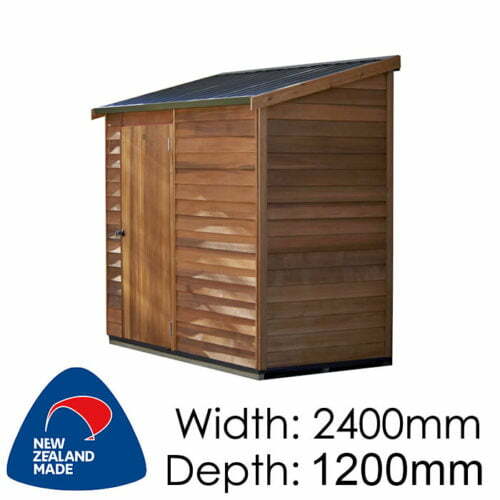 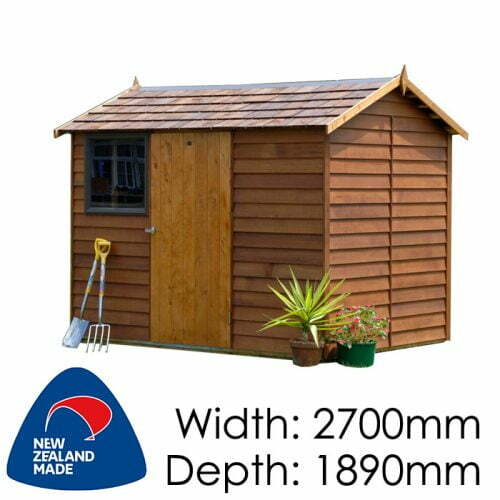 With the luxurious rich look of Western Red Cedar, The Cedar Shed is a notch above the rest. 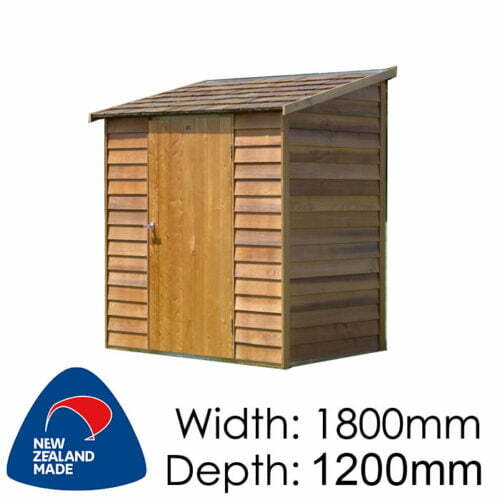 These garden sheds are perfect for those looking for the best traditional-looking shed. 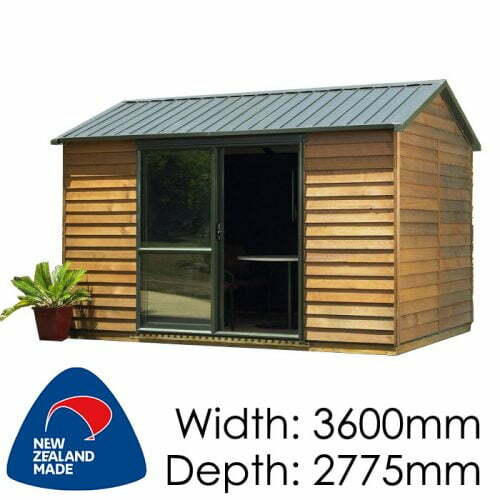 Cedar is an ideal timber for exterior cladding because it is very heat resistant and will not easily warp or shrink with sun and cold. 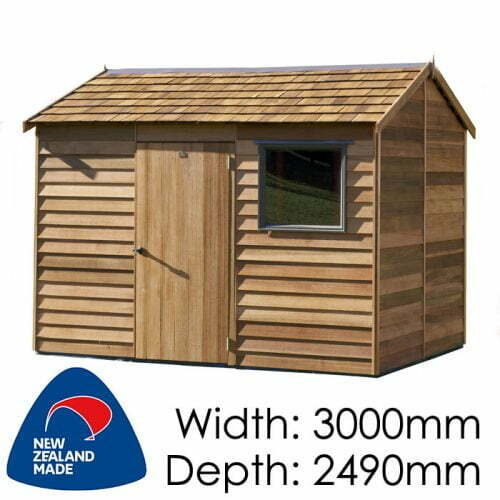 Cedar does not require treatment as a cladding as it has natural longevity. 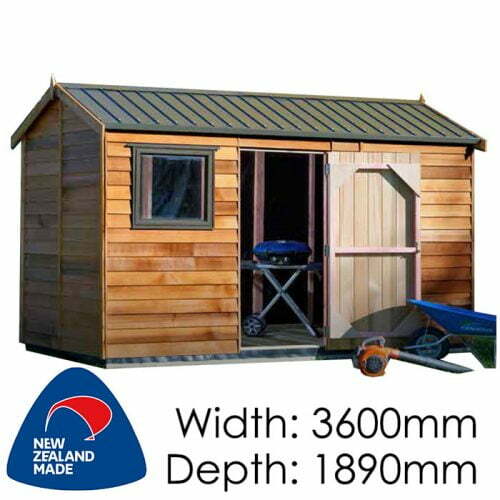 Made using a modular pre-clad panel construction system these sheds go together quickly. 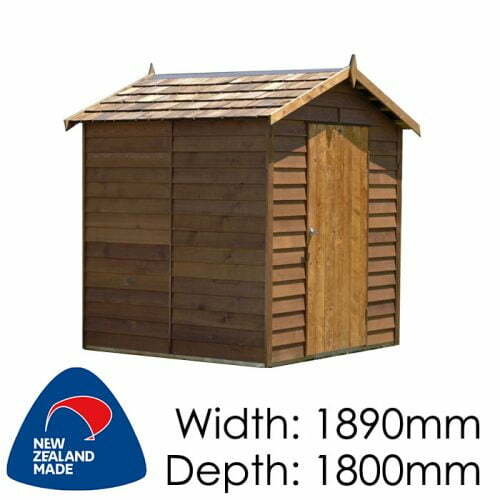 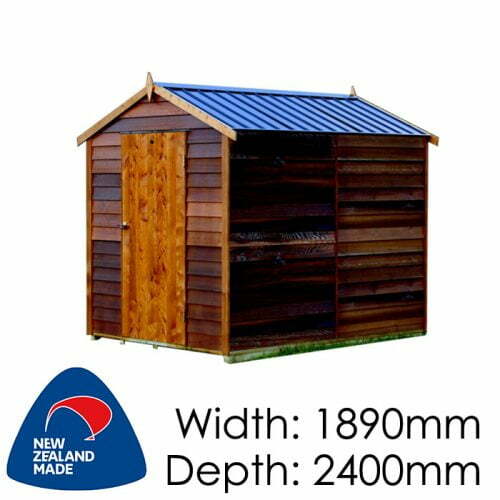 Similar in construction to Pinehaven sheds, the panels screw together and a lot more of the work has been done for you in the factory, meaning that although these wooden sheds are more substantial, the time to assemble is about the same as a steel shed. 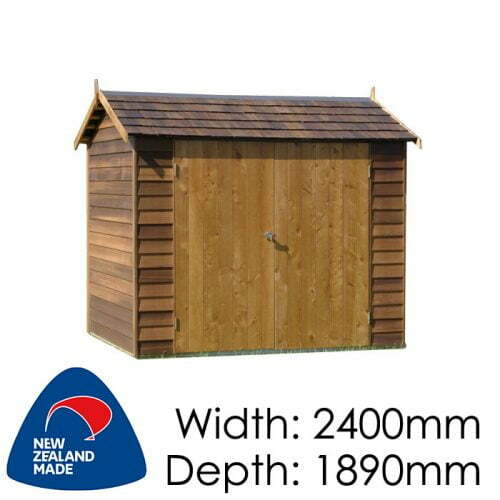 Doors are made up and ready to be hung. 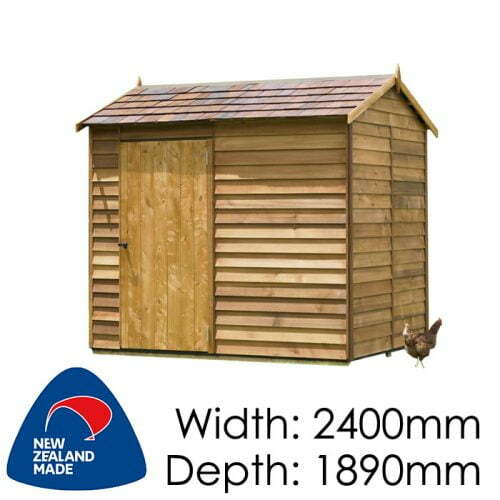 The modular panel system is relatively easy and makes sense once you have the panels laid out. 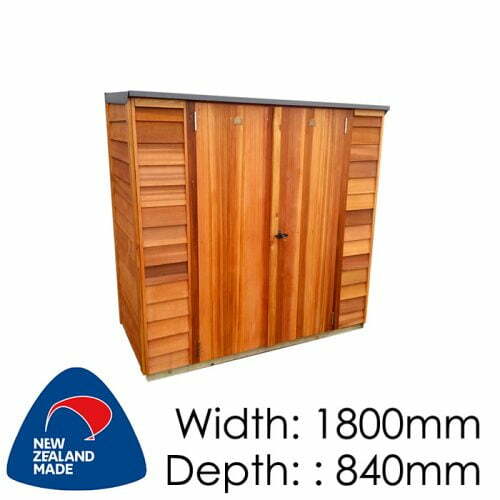 Assembly of a Cedar shed requires, drilling, screwing, nailing, riveting and sealing some hidden joins with silicone. 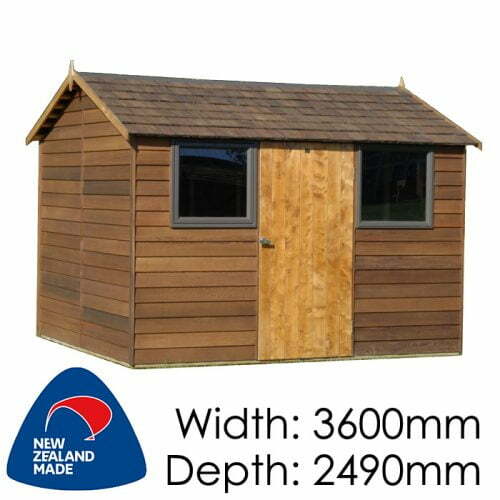 If you prefer not to tackle the assembly yourself, for a small fee, our expert assemblers can manage the whole installation for you. 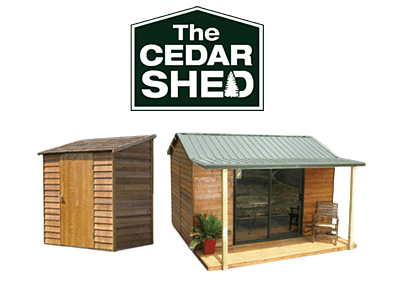 All Cedar sheds are made to order, meaning you can customise the shed layout to suit your requirements. 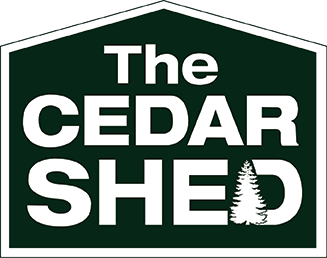 Whether you need to move or add doors and windows, change sizes to suit the space or match roofing colour to your house, it’s all possible with Cedar shed.